In factories across the state, innovative minds and skilled hands, heritage and hard work, bring mere ideas into being. 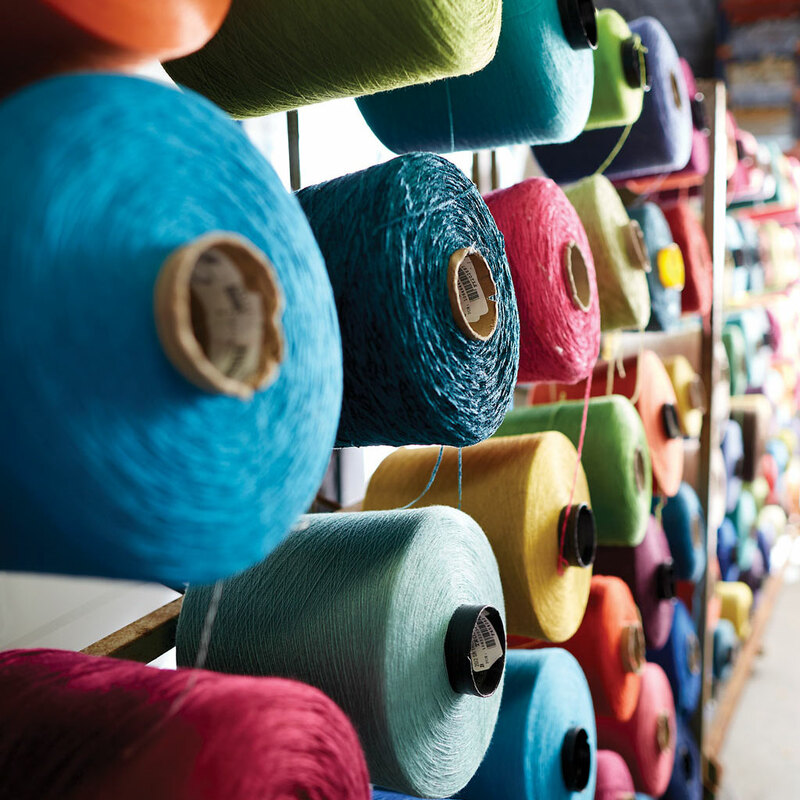 At Valdese Weavers, yarns dyed in vibrant colors are destined for one of hundreds of looms, where they’re woven into intricate decorative fabrics called jacquards. Like magic, patterns begin to take shape as each added filling yarn intersects with lengthwise warp yarns. Though highly automated today, the weaving process still requires weavers to possess tremendous skill and training. The warp may contain 9,600 individual yarns that are hand-tied during loom setup. 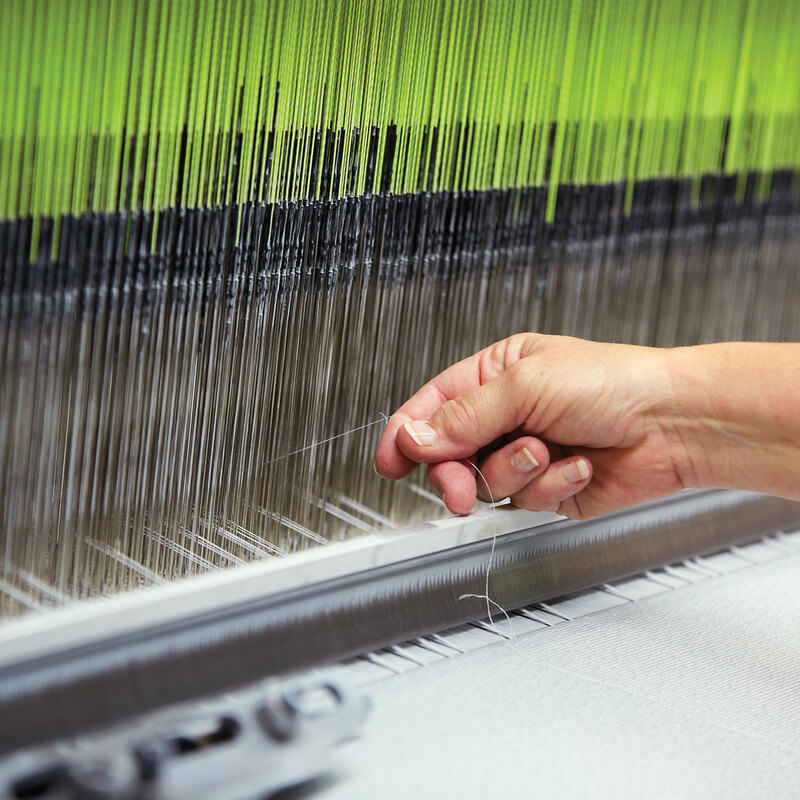 If one of the warp yarns breaks during weaving, the loom stops, and the weaver must locate and repair each thread — meaning the weaving process is still very hands-on. 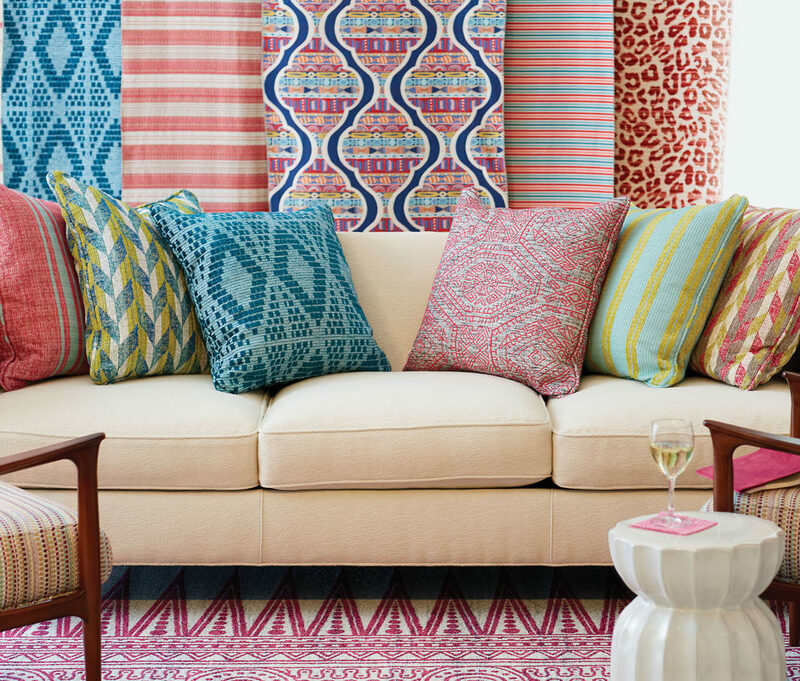 About an hour and a half east of Valdese Weavers’ headquarters, the company fills its four High Point showrooms with the latest designs from its six lines, including Circa 1801 (pictured). The showrooms are just one of the ways in which Valdese Weavers, founded by Italian immigrants as the Swiss Embroidery Company in 1915, has grown over the past century. Today, its 1,000 employees complete every step of the manufacturing process — from design, color research, and trend forecasting, to spinning, dyeing, weaving, and finishing — in four facilities in Burke County. And last year, the company reaffirmed its commitment to the local community: It’s now 100 percent owned by employees. 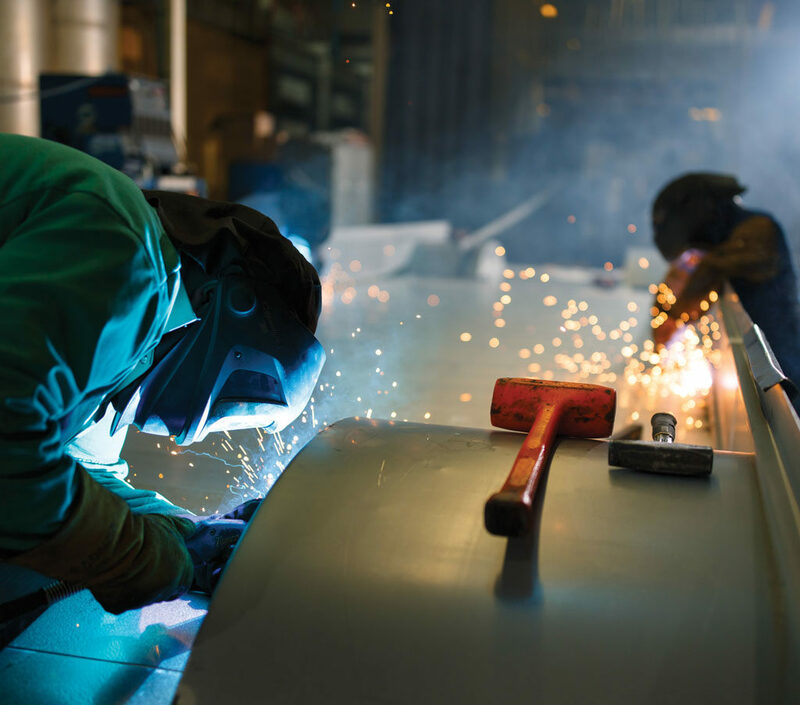 As employees weld a bus floor at Thomas Built Buses’ Plant No. 1, they carry on in the spirit of the company’s founder, Perley A. Thomas. From the time Thomas began designing streetcars for the Southern Car Company of High Point, his creations had a reputation for being both sturdy and comfortable. After Southern Car closed in 1916, Thomas opened his own company and built streetcars for cities from Winston-Salem to San Juan, Puerto Rico. Then, in 1936, everything changed when Thomas received an order for 200 all-wood school bus bodies from the State of North Carolina. By 1938, he’d developed an all-steel school bus body with innovative safety features. 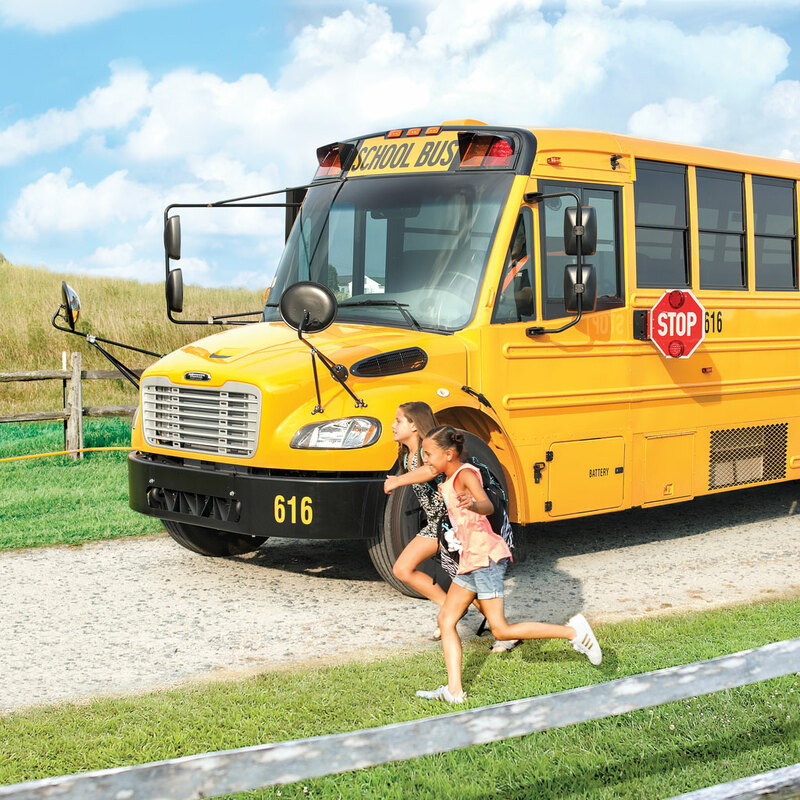 Thomas’s ideas turned out to be a sign of national regulations to come; today, school buses are the safest vehicles on the road. As one Thomas Built employee puts it, their buses are built like tanks. The iconic golden-yellow hue of school buses today — officially known as “National School Bus Glossy Yellow” — was introduced in 1939, and by 1974, all 50 states had agreed to use it. At Thomas Built’s Saf-T-Liner C2 plant, in-progress buses glide into a special room to be painted. Towering robotic arms start the job, moving around the bus in a synchronized dance, and workers fill in the spots that the robots can’t get to. 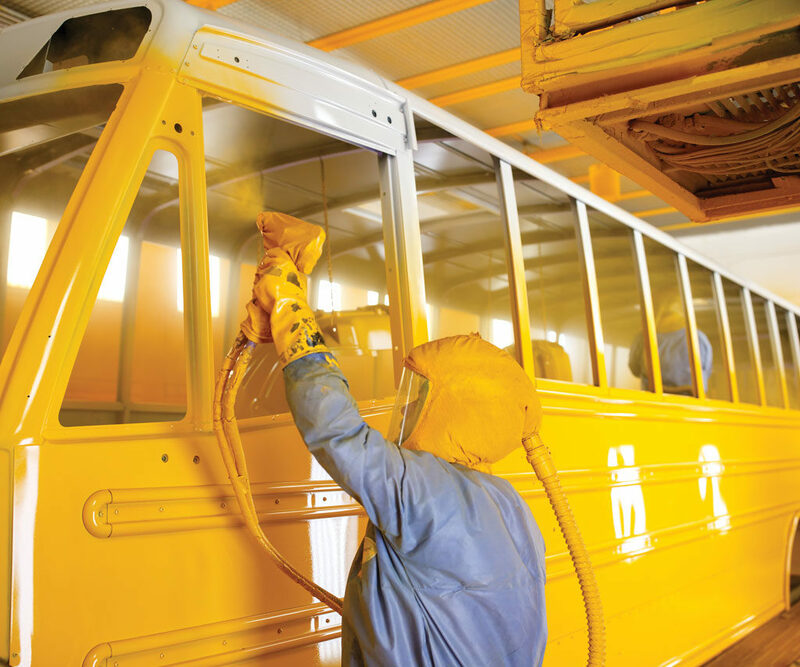 Elsewhere on the Thomas Built campus, buses are painted entirely by hand, a process that requires five gallons of paint; here, the robotic arms reduce the amount of paint needed to less than two gallons. Afterward, the newly yellow buses move down the production line, proudly wearing the color that makes them instantly — and universally — recognizable. 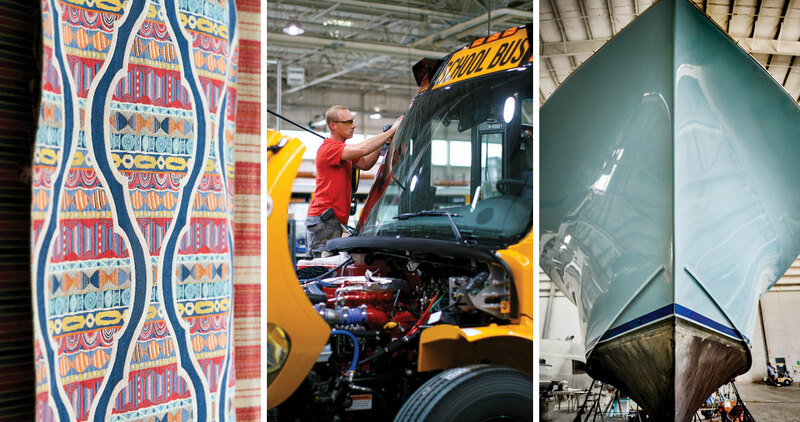 Every year, 16,000 Thomas Built buses roll off the line, headed for any of the 50 states or 10 Canadian provinces. And because state regulations, budgets, and climates vary, every one is custom-built. 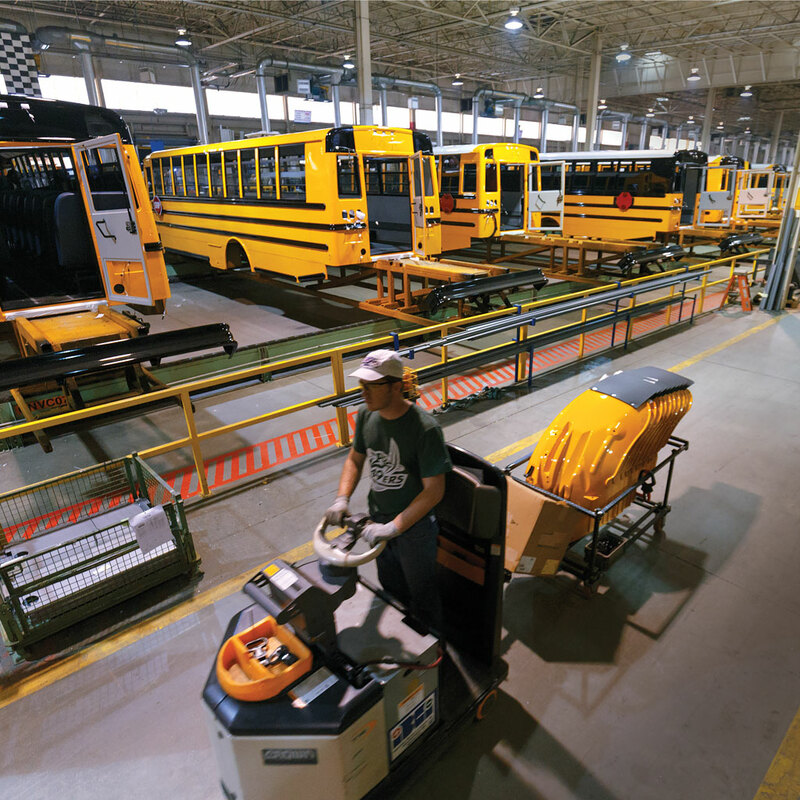 At Thomas Built’s Saf-T-Liner C2 plant, buses on the trim line showcase the subtle differences among them: Southern states may order buses with white roofs, which help keep the interiors cool (which may, in turn, keep students better behaved). Northern states may order buses with black hoods, which reduce glare when it snows. Some Canadian buses even come with a fire ax — locked safely away, of course — in case of emergency. From guardrail colors to brake light design to the number of stop signs attached to the sides of the buses, every state or province’s requests are a little bit different. Some things never change: Each morning during the school year, children gather on street corners, eagerly — or anxiously — anticipating the arrival of a big yellow bus, just like their parents, and their parents’ parents, once did. Riding the bus is a rite of passage, a time of innocence and confidences and, sometimes, a bit of mild mischief. Thomas Built employees take their work seriously — after all, they’re responsible for nothing less than carrying the future. But in a way, they’re also caretakers of a special memory linking generation to generation. The sight of the buses that once carried us physically will forever transport us back to childhood. 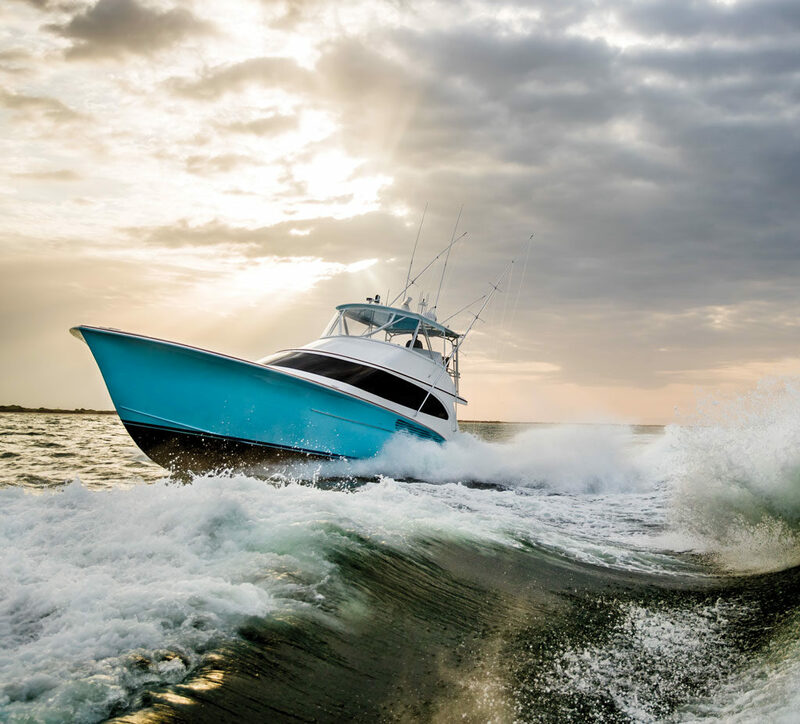 In Beaufort, Jarrett Bay Boatworks draws on centuries of history and heritage to hand-build sleek sportfishing yachts. 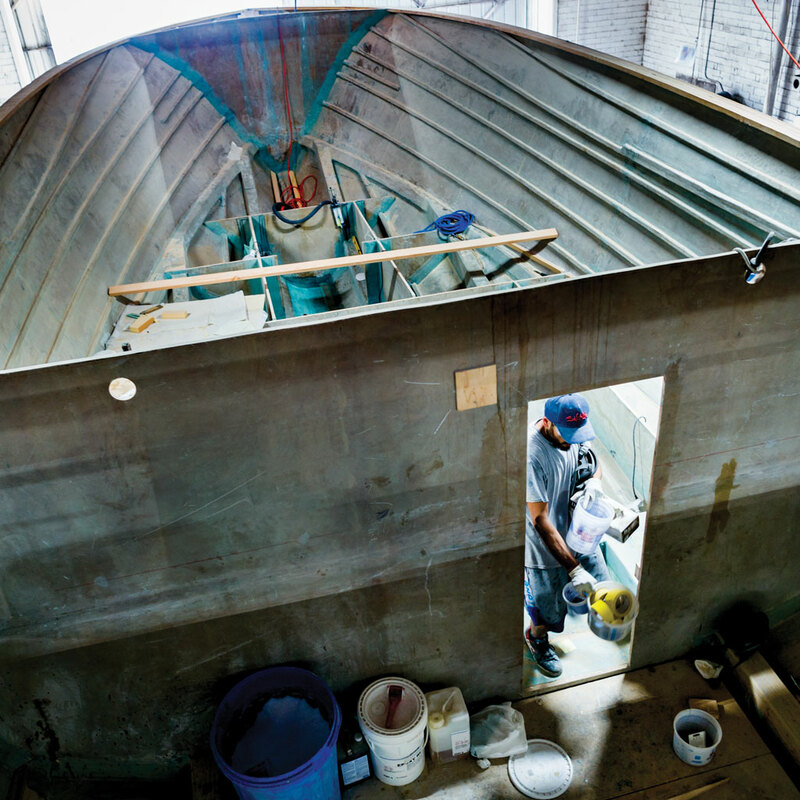 Jarrett Bay employees — many of whom grew up watching their fathers and grandfathers fish on boats they built themselves — construct hulls using a time-honored technique called cold-molding, which involves laminating together thin planks of wood. At this stage, the work is hot in the summer, cold in the winter, and permeated by the smell of sawdust — much like it would have been for generations past. After its hull is completed, an in-progress boat is flipped over and covered in fiberglass inside and out, then sanded and sanded and sanded again in preparation for painting. Then, the interior details begin to take shape. More than just a boat, every Jarrett Bay creation is like a floating city — completely self-sufficient, with HVAC, plumbing, electricity, and a freshwater generator. Finally, there are the additions of in-my-wildest-dreams touches that customers request before a project even hits the drawing board. This kind of customization results in a luxurious home away from home — that just so happens to be able to zip through the water. Growing up, Jarrett Bay founder Randy Ramsey dreamed of becoming a charter boat captain, and earned his license at age 18. In his free time, he’d work with local craftsmen to hone his boatbuilding skills. He started building his own boat in the evenings after days spent running charters. As he was working on that first boat, a persistent customer convinced him to make a second boat and sell it to him. Eventually, Ramsey realized he was in the boatbuilding business. 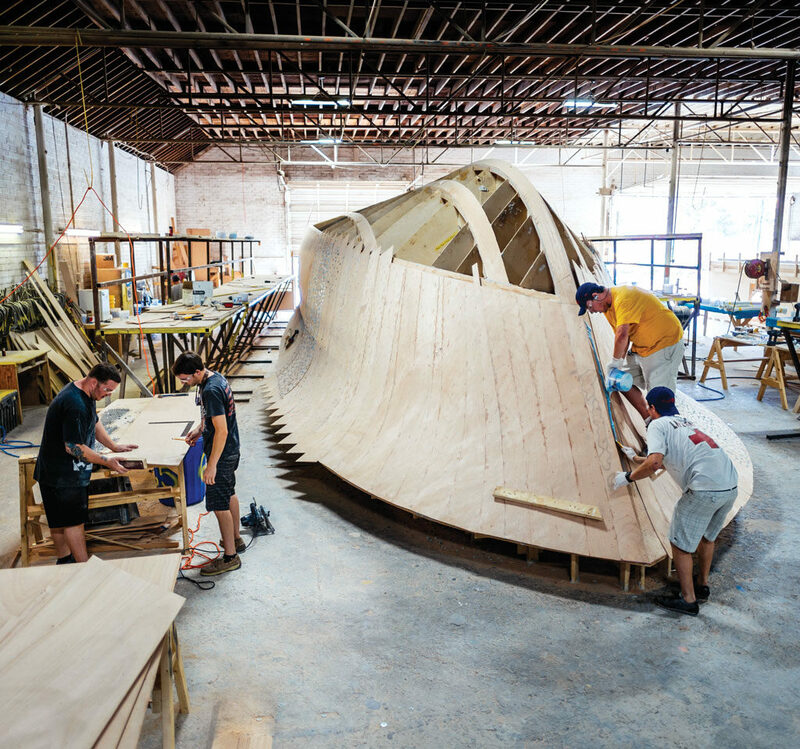 Even as his company has expanded into a marine industrial park, clothing and furniture lines, and more, a ride on a Jarrett Bay boat, like the 64-foot Builder’s Choice (pictured below), is a reminder of the simple pleasures that started it all: water, fish, and a well-crafted vessel.